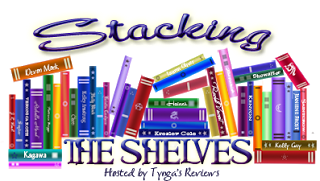 Laurie Here - Contemporary Fiction and MORE - Book Reviews: #StackingtheShelves #24 Week ending 2-20-16! GOODREADS: Make sure to ADD any books you find you want to read to your TO BE READ list on your Goodreads page! Why? Goodreads will send you a NOTICE telling you "a book on your To Be Read list" is in a Giveaway" . . . for however long! Nice, eh . . . ? Oh, yes!!! ***GIVEAWAYS!!! ALWAYS CHECK THE LEFT SIDE COLUMN for the most recent GIVEAWAYS! (Please check the dates just in case you are here after the giveaway is over. ALL the Giveaways I have on my blog each week will have ALL of the Giveaways posted right there! They are YOURS TO ENTER! Every Sunday I do a post where I update you on what's going on at the blog, but that is going to be HERE from now on, so keep you eyes open for THIS post to find out the latest and greatest! I will have EVERYTHING that is going on at the blog posted HERE in THIS POST from now on! It makes it easier for everyone to make ONE stop! Thanks! 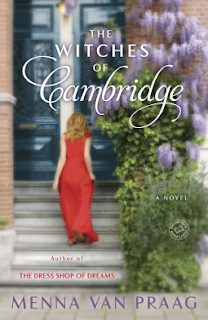 I have A #GIVEAWAY YOU ARE GOING TO LOVE!! The book is about WITCHES!! NO COMMENTS WILL BE ACCEPTED AS ENTRIES!!! The Witches of Cambridge by Menna Van Praag, author of The Dress Shop of Dreams! This book released on February 9th - for some reason, I thought this book released on March 9th? Go figure??? I don't know WHY I thought that? Well, it's there for you to purchase NOW! Scroll ALL THE WAY TO THE BOTTOM OF THIS PAGE and you'll see the link to Amazon for purchase! If you purchase it through that link, you help support this blog do other giveaways, too! Not all giveaways are sponsored by the Publishers. Thank you!! If YOU would like to try to win this book, fill out this form, just skip the first question and SCROLL DOWN to the NEXT questions! THIS GIVEAWAY RUNS 2-19 to 2-28 to midnight! DON'T MISS THE OTHER GIVEAWAYS IN THE LEFT SIDE COLUMN!!! ALSO - PLEASE COME BACK TO SEE MY BOOKS! ONE THING AT A TIME! LOL!! !